Description Library located in City Hall. Mounted on cardboard. Caption on front: 1940, additional shelves and four rows of seats. Display caption: Council Chambers were used for the first City of Oswego Public Library. 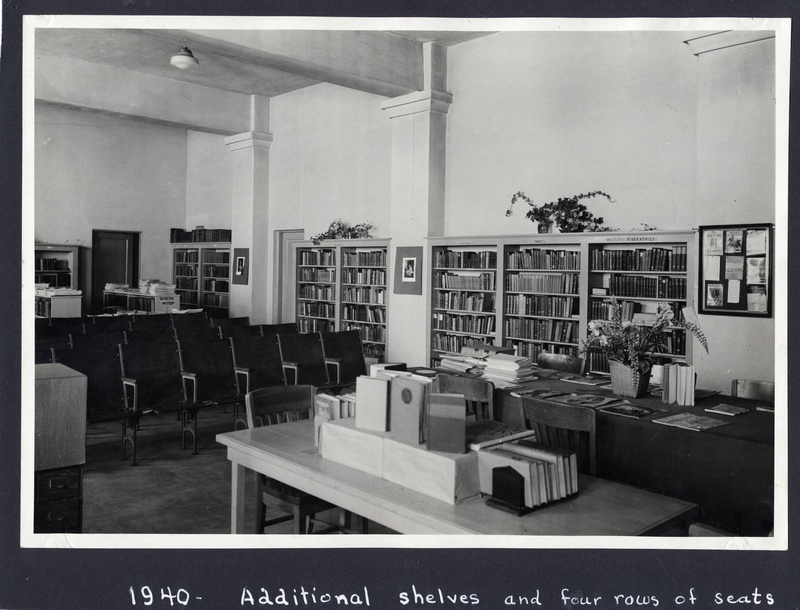 In 1930 the library held 1,500 books; by 1940 there were 4,900 volumbes in the collection. Physical Description H 8"" X 10.25""